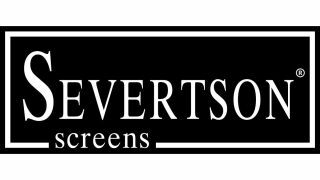 Severtson Screens will feature new options for its folded SēVision 3D GX line of cinema projection screens during CinemaCon 2017, held in Las Vegas, Nev. from March 28-30 at Caesars Palace, booth 2516A. According to Severtson, both microperf and digi-perf offer multiple benefits versus standard perforation screens. “Either one is the answer for current ultra high-performance cinema screens, depending on one’s specific needs, and are the perfect solutions for 4K, 8K, 12K, and even higher projection resolutions as these technologies becomes available in the future,” he added. Both microperf and digi-perf provide approximately seven percent open space against the traditional 4.5 percent open space. And now, Severtson’s new digi-perf screens, like microperf, are also engineered for a premium audio and visual experience. Digi-perf screens are available with all coating and gains, are foldable as with all Severtson cinema screens (excluding electric screens), and with a reduced moiré over traditional standard perf screens.